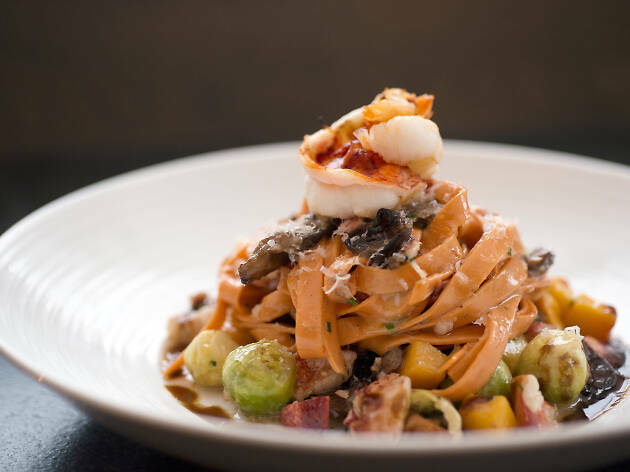 If you’re a lobster lover, you can always indulge in one of the best lobster rolls in Boston, or dig into a steamed lobster at a local seafood shack, but Boston chefs have come up with lots of ways to prepare the beloved crustacean. From noodle dishes and delicate sushi creations to baked or fried, here are the best Boston lobster dishes, all of which highlight the sweet, delicious meat. For a sampling of different takes on another local specialty, check out best clam chowders in Boston, and be sure to visit some of the best seafood restaurants in Boston. Since 2004, Neptune Oyster has been one of the city’s most in-demand options for fresh local seafood. 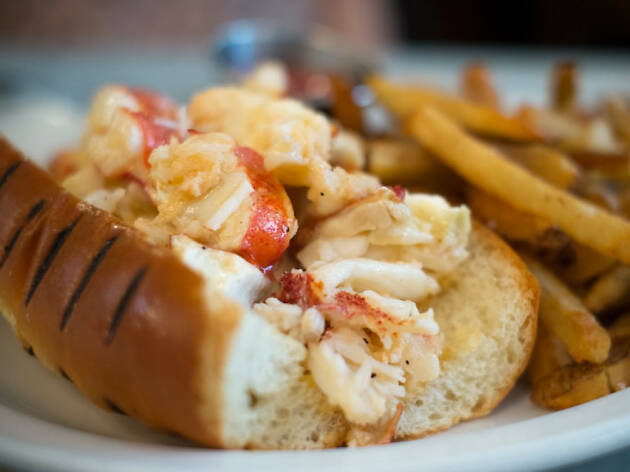 Neptune’s lobster roll—available hot with butter or cold with mayo, and served on a toasted brioche roll—is one of the city’s most lauded. Given Neptune’s popularity and petite size, be prepared to wait in line for one of the marble-topped tables or a seat at the bar. Head to this subterranean South End eatery for Barbara Lynch’s signature lobster creation. 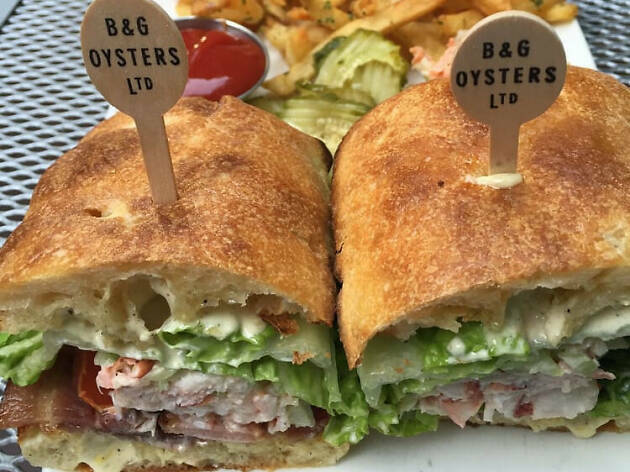 Fresh, tender lobster meat is sandwiched between slices of ciabatta with bacon, tomato, lettuce, and lemon-mayo. The sandwich comes with bread and butter pickles and hand-cut fries. Try one in the spring or summer when the backyard patio is open. Located at the bustling intersection where the Back Bay meets the Theatre District, Ostra serves sophisticated seafood with a Mediterranean flare. There are plenty of big-ticket items on offer, making it a great place for special occasions and celebratory business dinners. Go all out with Ostra’s three-pound lobster, served with roasted cauliflower, baby carrots, romanesco, and an herbed butter sauce. Tracy Chang made a name for herself with her inventive Guchi’s Midnight Ramen before opening Pagu in Central Square. 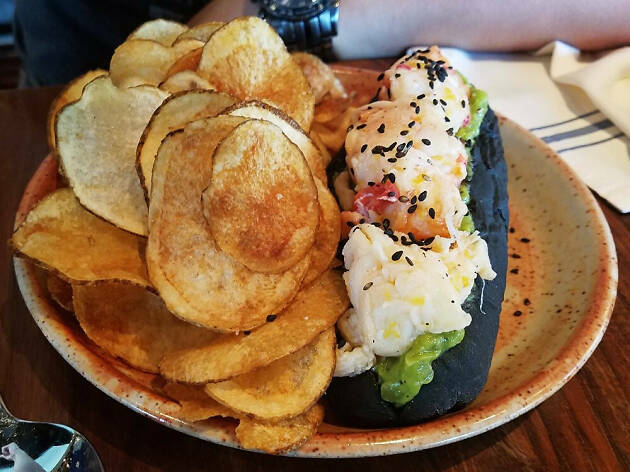 Her take on a lobster roll combines fresh lobster with Asian pear, avocado, black sesame seeds, and soy aioli, cradled inside a fluffy squid ink brioche roll that uses sake kasu instead of yeast. It’s just one of many unique dishes on the menu. 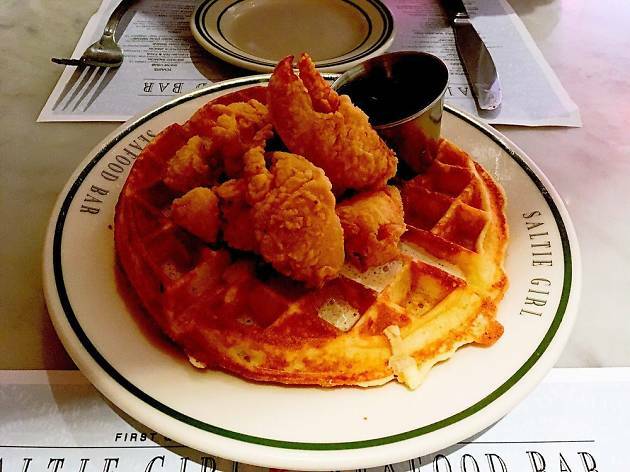 The menu at Saltie Girl features reinvigorated seafood classics, like a warm lobster roll topped with beurre blanc and lobster roe, garlic clams with bacon jam, and seared scallops with toasted barley and sugar pumpkin. Their take on the chicken and waffles trend swaps in big chunks of fried lobster tail, which mingles with spicy maple syrup and sweet corn butter atop tasty waffles. Ken Oringer and Tony Messina’s izakaya is renowned for its menu of sashimi, roasted duck, yakitori, and dumplings. But the sushi is still a highlight, and the Lobster B.L.T. roll is a star. 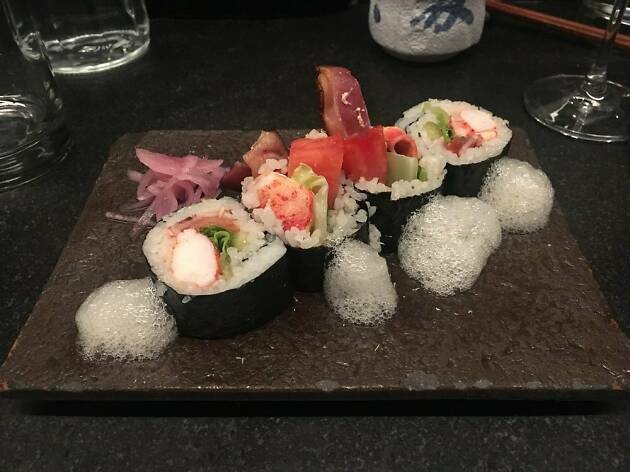 Lobster and brown butter mayonnaise are mixed with crisp bacon and pickled celery, wrapped in rice and seaweed. This red-shingled, waterfront seafood shack draws fans year-round for buckets of fried and boiled seafood, best enjoyed at the picnic tables beneath Christmas light-strung lobster traps. 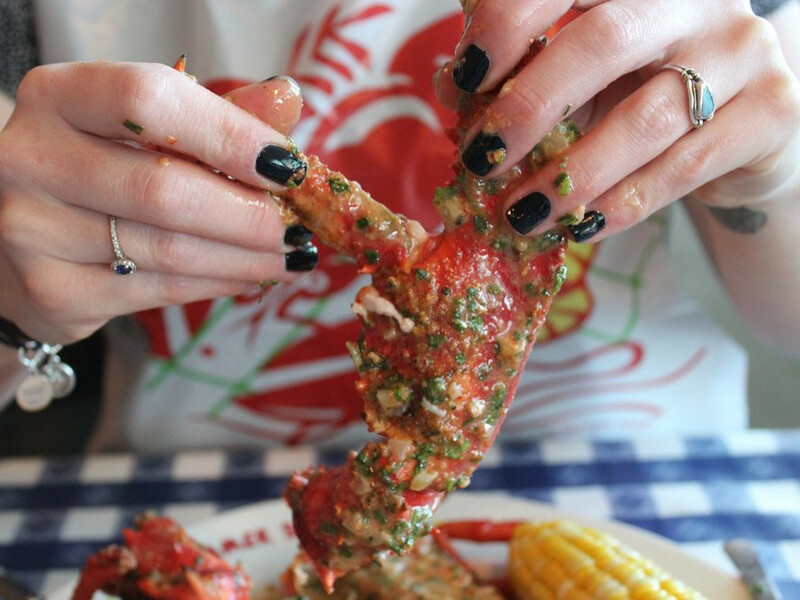 It may be touristy, but even locals love to hit up The Barking Crab, tie on a bib, and crack open a fresh boiled lobster, especially in the summer. Sizes normally run from a pound-and-a-quarter all the way up to ten pounders. 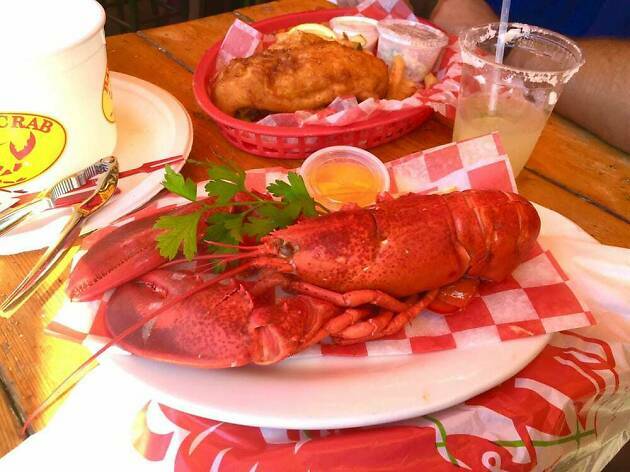 You can also have your lobster fire-grilled or roasted. Loyal Nine focuses on maintaining New England culinary traditions and highlighting local farmers and artisans. Try dishes like crispy fried soldier beans, brown bread topped with soused bluefish, and crispy steel cut oats tossed with spinach, kohlrabi ribbons, and confit garlic. 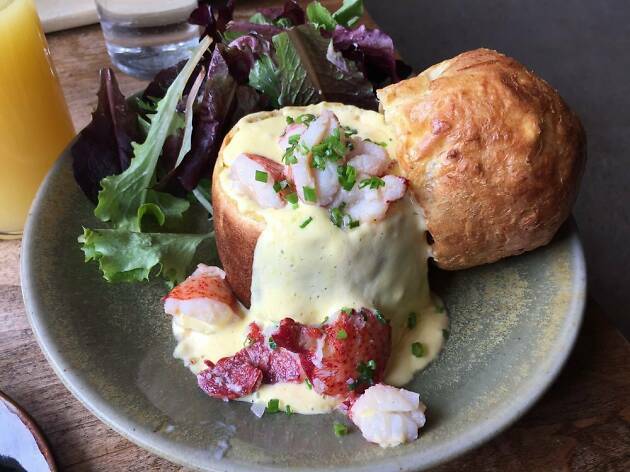 During brunch service, the lobster popover is a must: the traditional popover is stuffed with lobster and topped with a smoked pork-fat hollandaise and a poached egg. Dining at Boston’s most expensive Japanese restaurant is a thrilling experience. Expertly assembled nigiri and sashimi wow with exotic flavors and ingredients. 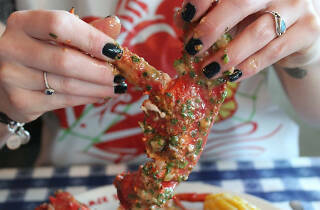 Legs & Eggs is a delicious lobster morsel that must be seen and tasted. 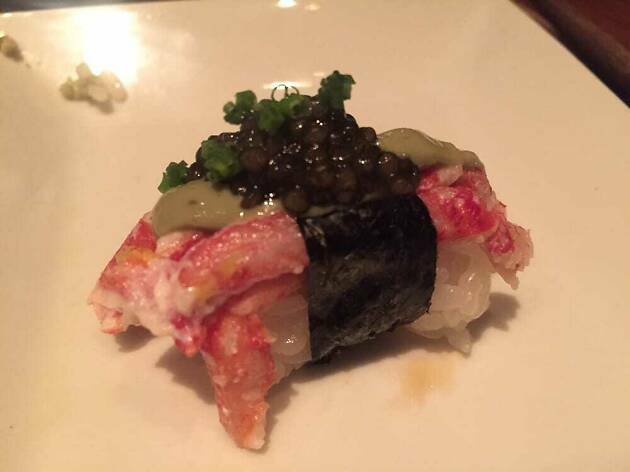 Delicate Maine lobster legs, tomalley aioli, and osetra caviar are perched atop seasoned rice, forming a work of lobster art. Enjoy with a pairing from the excellent saké list. One of the city’s best seafood-focused eateries, Island Creek Oyster Bar serves ultra-fresh lobster that comes straight from Maine’s York Harbor via Chef Jeremy Sewall’s Cousin Mark. 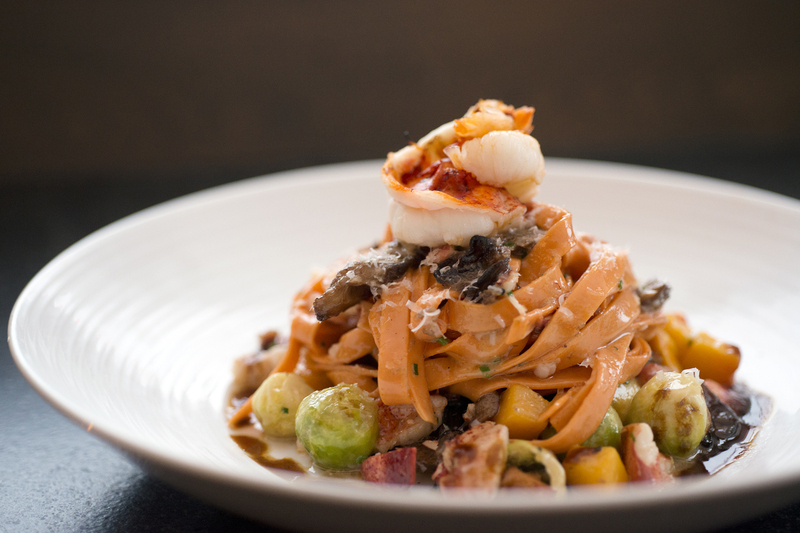 The lobster roe noodles feature grilled lobster, braised short rib, oyster mushrooms, roe, and pecorino. This is one rich lobster dish that could be a meal in itself, though you can’t go to ICOB without getting fresh oysters first. Pick your own seafood from a tank at this Hong Kong-style seafood joint. 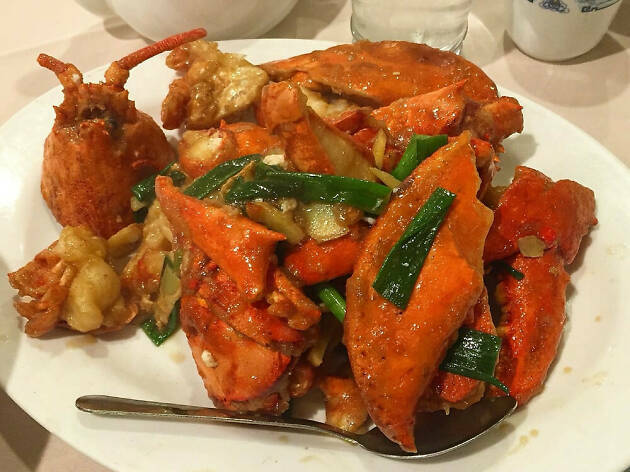 Your selections are cooked to your liking, but a top choice is the lobster stir-fried with fresh ginger and scallions. The intense flavors match the tender lobster perfectly for a delicious lobster dish. This friendly seafood spot has a laid-back vibe and colorful decor reminiscent of coastal seafood shacks. 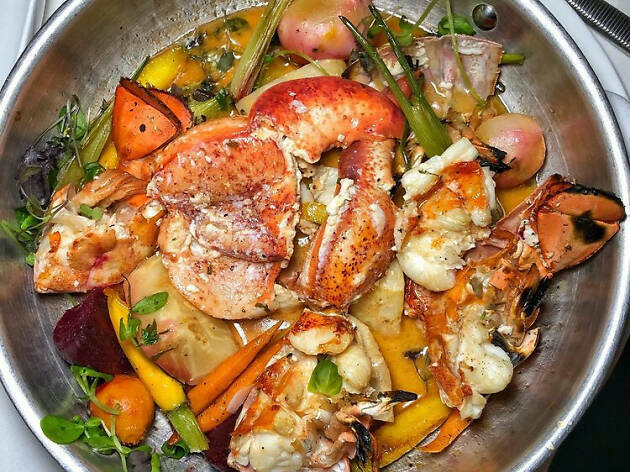 There are plenty of lobster items on the menu—many patrons opt for traditional steamed—but the pan-roasted lobster is a celebration-worthy standout. The lobster is roasted with butter, bourbon-flambéed, and seasoned with chives and chervil. Mastro’s offers a luxurious surf-and-turf dining experience with stunning views of Boston Harbor. Sizzling steaks and fresh seafood dishes are decadent enough, but there’s no harm in getting a side of lobster mashed potatoes. 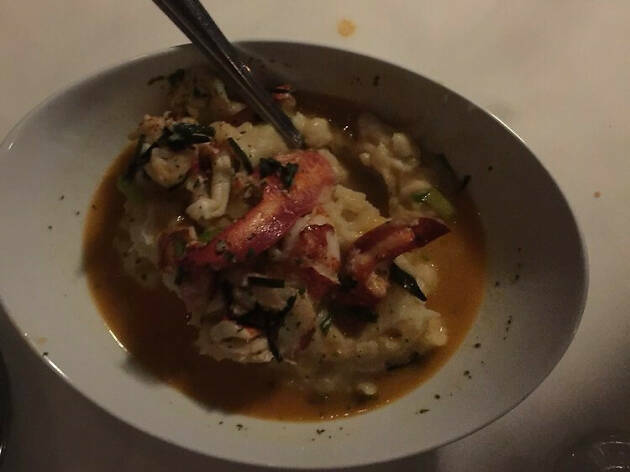 Chunks of delicious lobster meat melded with rich gravy and creamy mashed potatoes will take any meal over the top.